It may be a week ago now but we had a good few days away after Easter staying at Coed-y-Llwyn in the caravan. North Wales is something of a mystery to us, unless we came to live in North West England we hadn't visited often. This is a part of Wales where you are aware that you are in a different country; the conversation in the shops is more often Welsh than English. 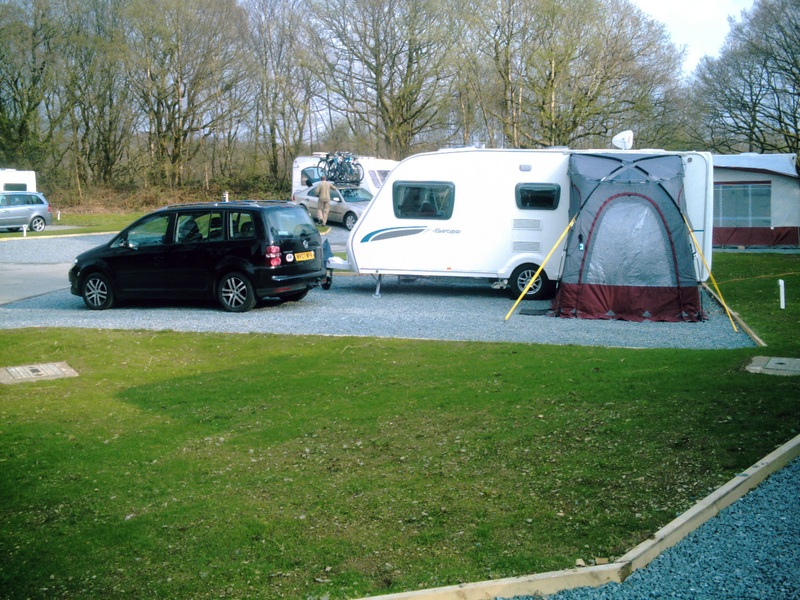 For those into camping and the like, this Caravan Club site is up to the usual standard, with friendly helpful wardens; they have recently increased the number of hard standing pitches but some grass ones are available. From here we visited Harlech Castle, rode on the Ffestiniog Railway, walked near Beddgelert and climbed part of Snowdon (the weather was against us going further up).